Lefranc & Bourgeois extra-fine vinyl-based paint dries evenly with intense coverage to a uniform, velvety matte, opaque finish. 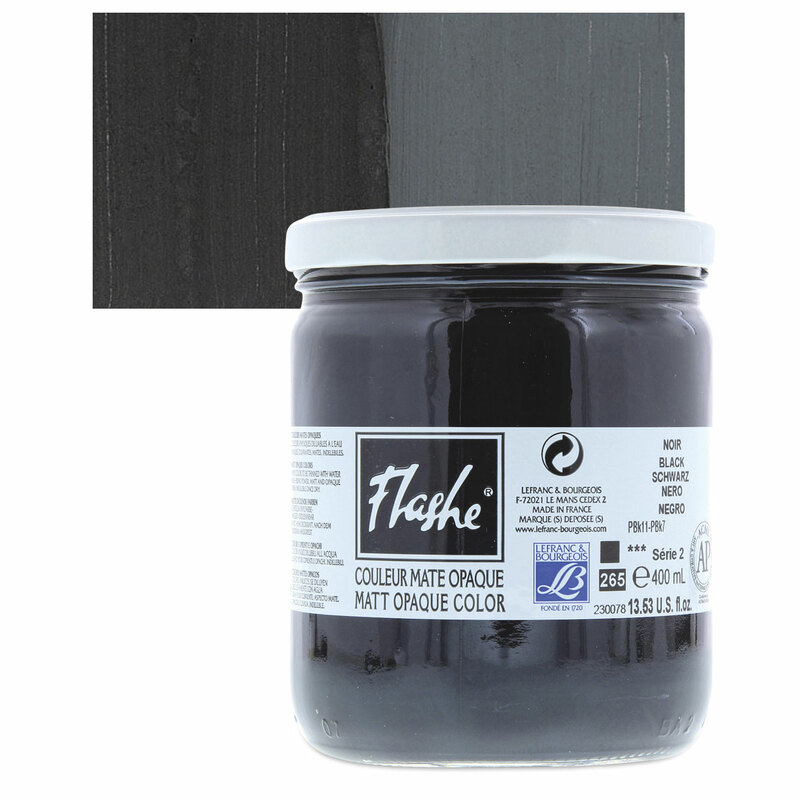 Highly pigmented, Flashe may be diluted with water to create a range of results, from highly opaque to a transparent effect. ® Lefranc & Bourgeois is a registered trademark. ® Flashe is a registered trademark.